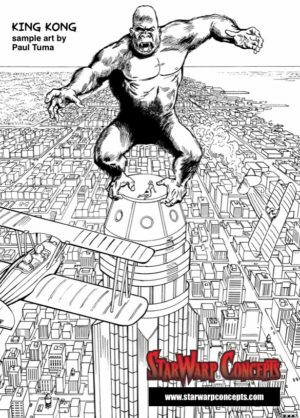 Coming March 7, 2017 from independent publishing company StarWarp Concepts is King Kong, an e-book-only reprint of the 1932 novelization of the classic monster movie, and the latest addition to StarWarp Concepts’ Illustrated Classics line. Written by Delos W. Lovelace, based on the story by Edgar Wallace and Merian C. Cooper and the screenplay by James A. Creelman and Ruth Rose, the StarWarp Concepts edition of King Kong features six brand-new illustrations by pulp-comics artist Paul Tuma (Tales of the Green Hornet, Dan Turner: Hollywood Detective). The novelization also expands on the world inhabited by this famous monster of filmland and includes scenes that didn’t appear in the movie’s final cut, including the terrifying “spider pit” sequence in which a group of sailors in pursuit of Kong falls into a chasm infested with giant, man-eating arachnids. 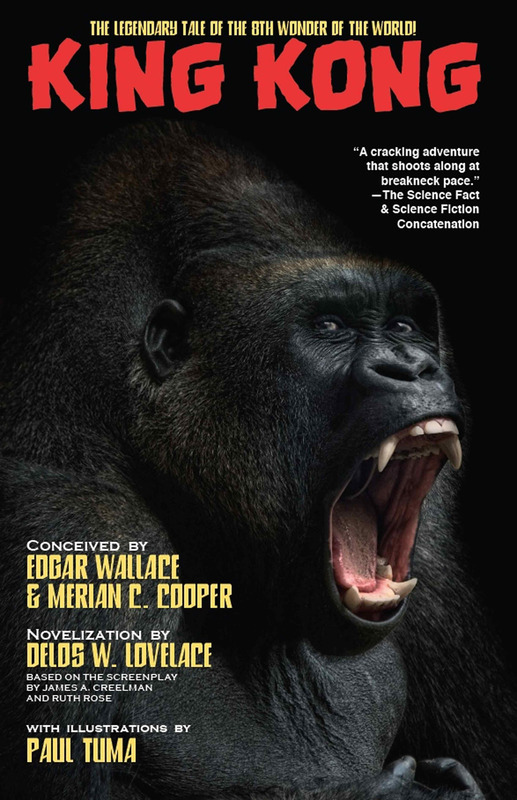 Published by StarWarp Concepts, KING KONG goes on sale March 7, 2017, and will be available from the StarWarp Concepts website and e-book distributor DriveThru Fiction.